Dive into summer fun at Arts Together! Join us for our summer camps for ages 3-12 featuring art, dance, drama, music and more, as well as our summer dance classes for teens/adults! There's so many exciting camps like Team Machine, Art of Yoga and An Artist a Day (Samplers, ages 6-8); Animal Art Globetrotting, Movement in Nature, Take the Stage Theater Camp and Storybook Art (Jr. Sparks, ages 6-8); and Trashion Fashion, Karaoke Video Hero Sr and 2D Animation & GIFs (Sr. Sparks, ages 9-12), plus so much more! Take a look at our new, interactive 2019 Summer Programs brochure to see our full line-up of exciting summer arts programming for ALL ages! Summer dance classes for teens/adults start June 10, and the first week of camp begins June 17. Don’t wait any longer to sign up! On Saturday, April 27, Black Box Dance Theatre invites all active duty military, veterans, their families and the community to explore complex issues facing our veteran and active duty military, by participating in a day of dialogue, storytelling and moving. This FREE event is part workshop, part dance performance. At noon, workshop participants will come together to hear, listen, offer stories on the impacts of military service and collaborate to create a performance piece with BBDT. At 7 PM, the full community is invited to a public performance of the stories brought forth during the day, followed by a community discussion on the information shared. Arts Together is fortunate to have this important community building work take place within our creative facility! Many Arts Together faculty members are dancers with BBDT, including one of our dance students! Register for the free workshop or reserve your free performance ticket at the button below. Arts Together is on Spring Break Monday, April 15 through Saturday, April 20! There will be NO preschool or classes this week. Our administrative offices will be open Monday through Wednesday but will close for Thursday and Friday. All regular programming resumes Monday, April 22. We hope everyone can recharge and enjoy the splendors or spring! Sign Up for a Tour during our Preschool Spring Open House! Our Multi-Arts Preschool is having a Spring Open House on Wednesday, April 10 from 1:30-3:30 PM, featuring our 3 Day Afternoon program (Tue/Wed/Thu, 1-4 PM). Sign up for a tour, and see how our arts-based curriculum builds a strong foundation for learning by using art, drama, music and dance/movement alongside other interactive, educational activities! Who doesn't like some swag? That's why we're thrilled to sell Arts Together t-shirts and canvas tote bags to support our scholarships for arts education, which help students who are unable to afford the full cost of our arts programming! T-shirts are available in both youth and adult sizes in three colors: purple, black and turquoise. For product photos, sizing details, online order form and more, click the button below. Deadline to order is Wed, April 10. Preschool Art Walk + Family Day Fundraiser with Papa Murphy's Pizza on March 31! Join us for our Preschool Art Walk! On Sunday, March 31 from 2-4 PM, Arts Together transforms into an art gallery to celebrate the artistic talents of each child in our preschool program. In conjunction with our Preschool Art Walk, we’re having a Family Day Fundraiser with Papa Murphy’s Take ‘N’ Bake Pizza on Oberlin Road! Arts Together will receive 25% of ALL SALES that Sunday, March 31, which is amazing! We recommend getting a pizza (to bake at home) from Papa Murphy's when you’re done viewing some awesome artwork at the Preschool Art Walk. Papa Murphy’s is open from 11 AM - 9 PM, so you can grab a pizza whenever it fits your schedule best on March 31 (you DO NOT need to specify you’re with Arts Together). All proceeds support our scholarships for arts education! We're accepting applications for our popular Counselor-in-Training program which gives 14-to-16-year-olds (and rising 8th graders) the opportunity to volunteer with our exciting summer camps! This program helps teens develop leadership and communication skills and is perfect for anyone interested in the arts or who wants to explore working with children. Arts Together is excited to present the Rainbow Dance Co. Annual Spring Concert at Cary Academy on Friday, March 1 at 7:30 PM and Saturday, March 2 at 2:00 PM! Rainbow Dance Co. is the ONLY multi-age modern dance company in NC - dancers range from ages 9-60+! Be sure to get your ticket in advance for this unique performance (prices go up at the door). Sponsorship opportunities are also available to support the work of Arts Together and Rainbow: honor a dancer or celebrate someone special by making a gift! Want to try something new with the start of 2019? Why not explore dance or yoga as a creative outlet without an extensive commitment! Our 8 Week Spring Workshops for teens and adults strike that perfect balance. Breakdancing, Modern Dance, Hip Hop, Yoga, World Dance and more — find your fit at Arts Together! Fall/Spring Classes are Half Price with January Start Date! Even though it’s January, we still welcome new students for our Fall/Spring classes! It’s actually a great month to try that new art or dance class because the cost is pro-rated*, making a start date in January HALF price. We offer a variety of multi-arts classes for ALL ages (adults included!) featuring art, music, dance/movement and more. Find your fit by viewing our interactive 2018-19 Classes Brochure! *Beginning October 1, yearly tuition is automatically pro-rated. We wish you and yours a very merry holiday season, full of light and love! Arts Together is closed for WINTER BREAK starting Friday, December 21 through Wednesday, January 2. We'll return to our regular operating schedule on Thursday, January 3. Arts Together will operate on a normal schedule tomorrow, Wednesday, December 12. Happy Thanksgiving to you and yours as Arts Together officially goes on break. There will be no classes or preschool Tuesday, Nov 20 through Saturday, Nov 24. Our administrative offices will be closed Wednesday, Nov 21 through Friday, Nov 23. On Monday, Nov 26, all regularly scheduled programs will resume and our offices will reopen. 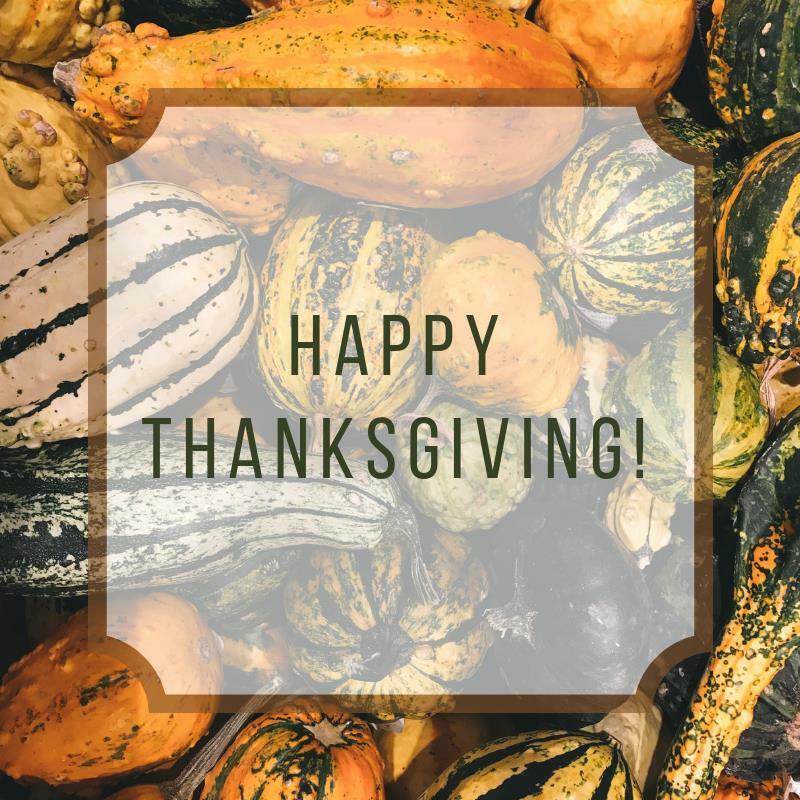 We are so thankful that you're part of this vibrant, creative community! Tickets On Sale Now for Arts After Dark! Our signature multi-arts event for adults 21+ is back, better than ever! Join us for Arts After Dark: Around the World in One Night on Friday, November 9 from 7:00-10:00 PM at Imurj in downtown Raleigh. Experience cultures from around the globe through art, dance and tasty refreshments! Create an explosion art passport and explore world dance traditions from Latin America, Asia and Africa, while enjoying a cash bar and complimentary hors d’oeuvres. It’ll be a multicultural night to remember! Yoga for Good - Support Hurricane Florence Victims! With the devastating aftermath of Hurricane Florence to NC, we wanted to do some extra good in the world. Join Arts Together on Sunday, October 28 for a vinyasa yoga class (ages 16+) led by Glenda Mackie Yoga to support individuals impacted by Hurricane Florence. Jim Crew will provide live, meditative music, setting the tone for deep relaxation! This 1.5 hour yoga class is donation-based/pay-what-you-can with all proceeds going to the Food Bank of Central and Eastern NC. Cash and checks made out to "Food Bank of Central and Eastern NC" will be collected at the door. Please RSVP through our Facebook event and let us know if you are “going.” This information will help us with space planning. Arts Together's Multi-Arts Preschool is collecting supplies for two preschools that have been displaced due to Hurricane Florence's devastation in eastern NC. The Wilmington Preschool of the Arts and Little Gym Preschool in Harkers Island have lost nearly everything, and we're gathering items needed to help replace what was destroyed from the rain and flooding. Arts Together cannot accept cash or check donations in lieu of supplies; however, we can accept Visa, Amazon or Target giftcards to give to the two preschools. Poinsettias with Purpose: Support Our Scholarships for Arts Education! Arts Together’s annual holiday fundraiser, Poinsettias with Purpose, has officially begun! All proceeds support our scholarships for arts education. We have partnered with Fairview Greenhouse and Garden Center, a local grower in Holly Springs, who provides beautiful, lush, healthy plants! Learn more about our fundraiser and order your poinsettia at the button below. Arts Together OPEN Monday, September 17! We hope everyone was able to stay safe during the storm. Arts Together will resume it’s regular schedule tomorrow, Monday, September 17 with Preschool beginning at 9:00 AM. All afternoon/evening classes will proceed as normal. We’re looking forward to seeing everyone! SAVE $10 on Adult Yoga Classes for 2018-19! Arts Together offers two weekly vinyasa yoga classes for adults throughout the year. Currently, we’re offering $10 OFF the yearly tuition through September 3 (Labor Day)! Join us for Early Bird Yoga led by Glenda Mackie on Wednesdays, 7:30-8:30 AM or Morning Flow Yoga led by Liz Holt on Fridays, 9:30-10:30 AM. Classes officially begin Wednesday, August 22 and Friday, August 24. Start your day with energy and balance! Arts Together offers a daily preschool designed around the arts as the basis for kindergarten readiness. Small classes with low student-to-teacher ratios introduce young children to the arts in a fun, creative environment. Children are encouraged to explore their own developing sense of self-expression and creativity through interactive classroom activities and instruction. This unique preschool program started at the end of August, but we accept applications on a rolling basis. We'd love to have your child be part of the fun at Arts Together! For children born before March 1, 2015: A few spaces remain in our Three-Day Afternoon program (Tuesdays, Wednesdays and Thursdays from 1:00-4:00 PM). For children born between March 1 and September 1, 2015: Spaces are available in either of our Two-Day Morning programs (Mondays and Wednesdays from 9:00-11:45 AM OR Tuesdays and Thursdays from 9:00-11:45 AM). Dance Fest is our spring celebration of the growth of our current students. Every May, dance students of all ages spend the last few weeks of class shaping a year’s worth of creative exploration into a short performance piece. Parents, friends, and other Arts Together students are invited to a series of casual but impressive performances that showcase the hard work and talent of students of all ages. This year's Dance Fest will be held on Sunday, May 20. Click here for more information and to view the schedule! Eat at Zoës Kitchen in North Hills & Support Arts Together! 1.) Enjoy a delicious, Mediterranean meal at Zoës between 3 to 7 PM, and a percentage of the sales will be donated directly to Arts Together's scholarships for arts education! ***Just be sure to tell the cashier at check-out that you're there for Arts Together. 2.) Our Art Director, Renee Boyette, has worked with the preschool children to create artwork that will be for sale. Each child has created a piece on canvas board that will be sold for $20 each. The artwork proceeds also go to our scholarship fund to help families that are unable to afford full-tuition. The artwork is incredible – come check it out! Now in its 38th year, Rainbow Dance Company was the brainchild of Arts Together founder Lemma Mackie and is the only dance company of its kind in NC. This multi-age company celebrates the many creative voices found in children, teens and adults. Tickets are available for purchase online until 3pm on Friday, March 2. Tickets will also be available on sale at Cary Academy up to one hour prior to the performance. You can also support Arts Together through the purchase of raffle tickets or by becoming a sponsor. Trying to find the perfect gift for the holidays? Want to beat the holiday season shopping crowds? Give the gift of experience with an Arts Together Gift Certificate! We now have gift certificates available for art and dance classes for all ages offered January through May. A gift certificate for $300 will pay for a weekly art or dance class for the entire semester. Check out our classes on our website - there is something for everyone!